With winter just around the corner, it’s time to think about what you’re going to be putting on your feet for the cold, snowy days and nights ahead. Purchasing winter boots is about fit, function, and appearance. You might want different boots for different activities, so we decided to put together a list of the boots we recommend. We’ve reviewed dozens of winter boots for women in an effort to bring you the best of the best. We took a look at comfort, warmth level, whether they were waterproof, and how Amazon users liked them. We’ve also reviewed the best winter boots for men in a separate post. 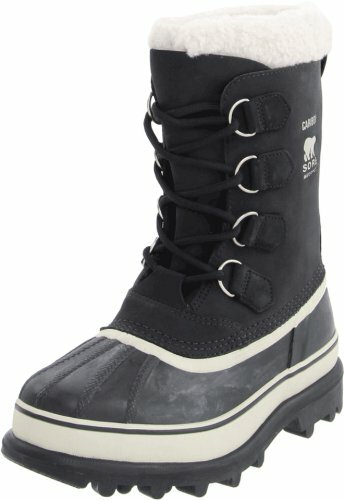 The Columbia Women’s Minx Mid II Omni-Heat Winter Boot is our top choice. It stands out above the rest thanks to features like its snow-busting height, waterproof material, quilted comfort, and skid-resistant outsole. The faux fur collar gives it an element of style that makes it right at home with jeans, tights, or leggings. 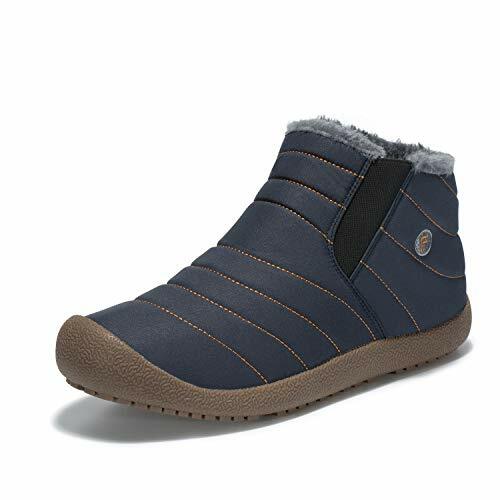 If you are looking for soft comfort, amazing warmth, a waterproof exterior, and adorable style, the Columbia Women’s Minx Mid II Omni-Heat Winter Boot is going to be your top choice. The Omni-Heat technology does a great job keeping you dry and comfortable while reflecting excess heat and reducing the need for bulky layers. The material is very breathable, so you won’t get hot and sweaty inside of your boots. The advanced traction outsole will help you keep your balance in snowy, icy, or muddy conditions. You’ll also enjoy the stylish features like the faux fur collar and the quilted design. Wear these to work, while playing outside with the kids, or while running errands on the weekend. The Sorel Women’s Joan Of Arctic Boot is our runner-up pick. It is available in different colors, so you can pick what works best with your wardrobe. The warm faux fur snow collar will keep snow out of the boot. It is made of fully waterproof leather and has D-ring laces for stability and sturdiness. 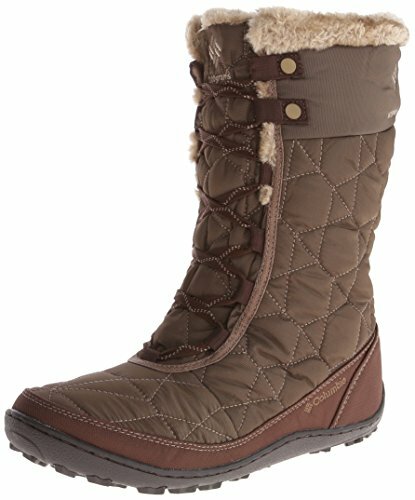 These boots are ideal for women who are enjoying winter sports like hunting, fishing, and snowmobiling. They also pair well with work attire, jeans, leggings, and tights. This is a very versatile, all-around great pick. 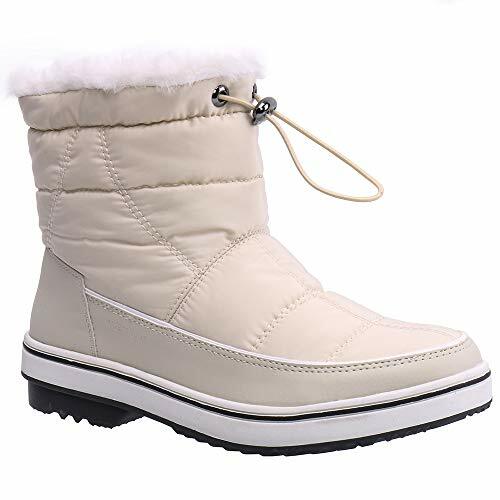 The Mishansha Womens Winter Snow Boot is good for just about anyone who wants to add warm, stylish bootie to their wardrobe at a budget-friendly price. This is an Oxford-style shoe. The upper material is water-resistant and the fine fluffy faux fur that covers the inside of the boot keeps feet warm and comfortable. The sole is high-grade rubber to provide skid-resistance in wet, snowy, icy, or muddy conditions. There is also a toe cap to protect the toes from impact injury. These boots are available in several different colors, and they’re inexpensive enough that you might be able to pick out a few different pairs to complement all of your outfits! The ALEADER Women’s Terra Waterproof Winter Ankle Snow Boots offer ankle-high support and protection from the elements. They slip on easily and fit snugly and comfortably, and the drawstring allows you to create a secure fit. The faux-fur detailing adds style and keeps snow out of the boot. Slip-resistant soles keep you from slipping, and the lightweight fleece lining will keep you warm without contributing to excessive heat. The seams are sealed and waterproof, and the upper is both water and wind-resistant. The Sorel Women’s Caribou Boot is an excelent choice for those who spend time in the great outdoors during the winter. These are designed to keep you warm in subzero temperatures. The boots are lightweight and flexible with seam-sealed waterproof construction. The rubber sole with sturdy treads will keep you from slipping and sliding on whatever winter elements Old Man Winter throws at you. These duck boots features a removable felt liner that is trimmed with plush sherpa. The D-ring hardware makes lacing simple and sturdy. If you want to brave harsh weather, these boots will help you do it. 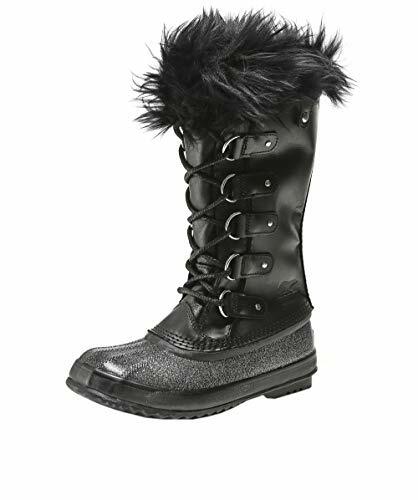 If you live in a cold climate that gets snow and ice in the winter, you should consider buying a pair of women’s winter boots. Boots are a necessity in these types of weather conditions because they keep your feet warm and can help you avoid slipping and sliding on the slippery elements of the season. Even if there is not snow on the ground, there could be black ice or mud. In addition, there is often wet weather tracked indoors; winter boots can help prevent falls caused by wet tile or linoleum. For those who live in warmer climates, lightweight winter boots might still be desired simply as a way to rotate your footwear and enjoy the look of winter clothing that you don’t get to wear the rest of the year. Winter boots for women should have a few important features. Here’s what to keep in mind when you decide on the perfect pair of women’s winter boots. Warmth. If you live in a cold climate, you will want to be sure the boots you choose will keep your feet warm. Some boots will list a temperature rating. Otherwise, consider the inside materials to gauge whether a boot will be warm enough. If you live in a warmer climate, you’ll also want to keep this in mind, only in this case, you should choose a more lightweight pair to avoid overheating. Waterproof. Winter boots should be waterproof or water resistant to keep snow, ice, and water from making your socks and your feet wet. There are a variety of waterproof materials available. Weight. If you are spending a lot of time on your feet, you might want to look for a lightweight pair of boots for comfort. On the other hand, heavier boots are often warmer, so you will need to weight this consideration against your need for warmth. Fashion. You will probably want to keep your fashion choices and wardrobe in mind as you search for the perfect pair of boots. What material is best for winter boots? The material that you choose for your boots will depend on your budget and your specific needs. If you have a high budget, leather is a material worth considering. Full leather is more waterproof, but split-grain leather with a synthetic material (like nylon) is more breathable. Gore-Tex is a synthetic material that is both waterproof and breathable. Duck boots have waterproof rubber on the bottom part of the boot and a different type of material on the top. You might enjoy faux fur, fleece, or another material on the inside of the boot. The outsole should be rubber for slip-resistance. In short, there is not one single material that is best for winter boots; it depends on what you are looking for. Duck boots have a waterproof rubber lower section and a different material on the upper (from the ankle to the top of the boot). The material used at the top is usually either leather or a waterproof synthetic material, but this varies from brand to brand and from style to style. Yes, as long as they are lined with a warm material. Duck boots are waterproof, so they are excellent for keeping your feet dry as you walk through the snow or slush. Without the sherpa, fleece, thinsulate, or other insulating material inside, however, your feet won’t stay warm. So check the inner material to know if your duck boots will make good snow boots. Are hiking boots good for winter? Some hiking boots are good for winter. It depends on what the winter weather is like where you are and also whether the boots are waterproof. Hiking boots offer a lot of support and they have good treads; the main consideration will be whether they are waterproof and whether they have an insulating material inside to keep your feet warm. We also reviewed an additional 20 women’s winter boots. These did not make our top 5 list, but they are still the best of the rest and a good choice if you are looking for a new pair of boots for this winter. The information you need to make your decision is included with each listing. This rubber and leather duck boot features a waterproof shell and a leather upper with contrast stitching and two-tone laces to keep you stylishly warm and dry. These synthetic boots will keep your feet dry. Note that they run a bit small, so order one-half to one full size larger for the perfect fit with socks. You’ll love the look the plaid upper adds to your wintertime wardrobe, especially in combination with the fluffy fleece to keep your toes warm and cozy. These leather boots will not disappoint! They feature an oiled-suede shaft with D-ring lacing in addition to the waterproof rubber shell. These synthetic and leather combination boots allow you to combat cold, wet weather while keeping your feet warm, dry, and comfortable. This waterproof snow boot features a secure lace-up shaft with soft faux fur lining and a quilted back panel. Stay comfortable all day with the techlite midsole! Bright and colorful is the name of the game with these warm, fur-lined, waterproof snow boots. They are value priced so you can choose one in every color! These snow booties have a foldable upper, so you can wear them unfolded when walking through deep snow and folded down when the weather is a bit warmer. These boots combine the traditional look of winter hiking boots with a cozy pop of fluffy fur that adds feminine style. They also feature snow-friendly extras like a thick traction sole and waterproof PU leather. These warm, waterproof snow boots are rated to -25 degrees Fahrenheit, so you will stay toasty warm on the coldest days. Great traction keeps you safe and stable. These cow suede and sheepskin booties are cozy and warm. The anti-slip outsole is safe for walking in the snow and ice, and the wood blend lining will keep feet warm all day long. Fashion meets warmth with these ankle-length snow boots. The soft faux fur lining ensures warmth, and there are several colors to choose from at a value price. If you like the look of a sneaker with the warmth of a boot, these booties will be just your style. A waterproof upper, rubber sole, and furred lining will keep you warm and dry. Don’t let the sneaker-like appearance of these snow boots fool you; they are waterproof, lined with faux fur for warmth, and feature a non-slip rubber outsole to prevent slips and falls. These are great boots if you live in a warmer climate where it doesn’t snow often. The fashionable look and the warm quilting will help put you in the winter mood! These tall winter boots are easy to pull on and off and feature a triple toggle closure for ease of fastening. The sheepskin foot bed keeps you nice and comfortable. These boots are cozy and soft, and you can fold down the long upper to create an adorable bootie. These are best for moderately cold days. With three bows down the back of these winter boots, you’ll be stepping out in waterproof fashion every time you wear them. The fully lined interior will keep you cozy and warm. These neoprene boots are 100% waterproof and offer both shock absorption and heat retention properties. They adjust to the contours of your foot to resist chafing. These boots are made of 100% sheepskin for all-over softness and coziness. Note that they are not waterproof; while they are great for cold temperatures, they won’t do well in the snow. Michelle Kulas is the parent of two teenagers and has hosted nearly a dozen foreign exchange students. No stranger to all topics pertaining to parenthood, she's been writing professionally for over a decade.